DENVER - Valentine�s Day is around the corner, and what better gift than the gift of an unforgettable experience in Colorado? From a sleigh ride dinner in Crested Butte to a hot air balloon ride in Boulder, Colorado offers adventures that will create unforgettable memories. Below are a few ideas for couples seeking experiences to celebrate the day of love. Loveland, Colorado is known as the nation�s Sweetheart City and is home to the largest Valentine re-mailing program in the country. Here, romantic heart-shaped love notes dot the streets and The Fire & Ice Festival (February 13-14) transforms 4th Street with lighting projections, illuminations and fireworks accompanied by snow and ice sculptures, free music, romantic carriage rides and more. Cat Skiing (Keystone). A guided cat skiing tour with Keystone Adventure Tours is a unique activity for the adventurous couple. Tickets are $255 per person and include a lift ticket, powder ski rentals, a tour guide and lunch. Following cat skiing, relax with the Champagne & Chocolate Indulgence package at The Keystone Spa. This package is $300 per person and includes a 50-minute massage, a pedicure and a glass of champagne. Dog Sledding (Breckenridge). Good Times Adventures offers dog sledding tours for couples. The six-mile long tour winds along the trails of the Swan River Valley, and guests switch off between running the dogs, riding in the dogsled and riding on a sleigh with the guide. Tickets are $75 per person. C Lazy U Ranch (Granby). C Lazy U Ranch is one of Colorado�s premier luxury guest ranches. Take in the western style while enjoying activities such as horseback riding, cross country skiing and downhill skiing. C Lazy U Ranch offers a Valentine�s Day Package that includes lodging, a rose petal and chocolate turndown service and dinner starting at $375 per person, per night. Zapata Ranch (Mosca). Zapata Ranch has no shortage of beautiful views that make for a romantic getaway. Enjoy an exclusive couple�s horseback ride that has surprises along the way including chocolate covered strawberries and champagne. Rates start at $1,252 per person. To end the day, take a moonlit hike in the nearby Great Sand Dunes National Park. Glenwood Hot Springs (Glenwood Springs). Glenwood Hot Springs Resort, home to the world�s largest hot springs pool, offers cozy accommodations and luxurious amenities. The Resort�s Romance Package includes truffles and champagne, a romantic dinner at The Pullman restaurant, unlimited access to the hot springs pool, breakfast and a $100 spa credit. Guests can choose from the one, two or three night options. Rates start at $368 per night. Springs Resort and Spa (Pagosa Springs). Take a dip in one of the 23 mineral soaking pools with your loved one at The Springs Resort and Spa. The Resort offers a Valentine�s Day Package for the entire month of February with rates starting at $419. This package includes a one-night stay for two, a 60-minute couple�s massage, 24-hour hot springs passes and champagne. Game Creek Restaurant (Vail). Game Creek Restaurant offers couples a romantic dinner with stunning mountain views. After a short ride up the Eagle Bahn Gondola, a snow cat serves as transportation for the night. Upon arrival, enjoy a gourmet dinner on the mountain while gazing at the Game Creek Bowl. Dinner rates start at $90 per person. Uley�s Cabin Sleigh Ride Dinner (Crested Butte). Cuddled beneath blankets, couples ride in an open sleigh pulled by a snow cat to Uley�s Cabin. Upon arrival, enjoy a Valentine�s dinner that features Colorado cuisine with French influences. Sleigh ride dinners are available Wednesday, Thursday, Friday and Saturday evenings. Tickets are $100 per person. Fair Winds Hot Air Balloon Flights (Boulder). Fair Winds Hot Air Balloon Flights offers a balloon ride over Boulder with breathtaking views of the Boulder Flatirons, the Colorado plains and wildlife. Champagne, a continental breakfast, flight certificate and more are included in every Fair Winds Hot Air Balloon Flight. Rates start at $199 per person. Pikes Peak Cog Railway (Colorado Springs). Take a ride up America�s Mountain, Pikes Peak, on the Pikes Peak Cog Railway, the world�s highest cog train. Throughout the three-hour long journey, couples can take in the incredible 360-degree views that range from abundant wildlife to flowing streams. Tickets are $28 per person. Colorado is a four-season destination offering unparalleled adventure and recreational pursuits, a thriving arts scene, a rich cultural heritage, flavorful cuisine, and 25 renowned ski areas and resorts. The state's breathtaking scenic landscape boasts natural hot springs, the headwaters of seven major rivers, many peaceful lakes and reservoirs, 11 national parks and monuments and 58 mountain peaks that top 14,000 feet. For more information or a copy of the 2015 Colorado Official State Vacation Guide, visit www.COLORADO.com or call 1-800-COLORADO. Follow Colorado on Twitter, Facebook, Instagram, Pinterest, Google+, Foursquare, Flickr, Tumblr and YouTube. Media are invited to visit the Colorado Media Room for story ideas, news releases, image gallery, and other resources. S edona Wine Country Tours offers two new wine experiences for women only, Wild Women Wine Tours and Wine, Weddings and More. If you're looking for a GIRLS DAY OUT, go along on a WILD WOMEN WINE TOUR! This tour is specifically for the woman who wants to relax, have a free day and let the good times roll. Mardi Gras beads and stories of love, food and wine will be your entertainment on your way to the wine country. Go share a story or hear others. Learn about wine and food pairings. So get some girlfriends together for a day of fun and frolic on a WILD WOMEN WINE TOUR. They will pick your group up at a designated location in a van, limo or luxury mini coach with a minimum of 10 and maximum of 24. Please call 928-554-4072 for more information and special pricing. Thinking of getting married? Ask about Wine, Weddings and More! Special tours for wedding parties, bachelorette parties, or just a pre-wedding getaway. A Wining Dining and Romance Tour is great as a wedding gift. They are now offering a 15% discount on the following wine tours. Please call today at 928-554-4072 to book your tour. Other tour offerings include Sedona Artistry and Wine and the Sedona Historic Uptown Walking Tour. For more information contact Sedona Wine Country Tours at 928-554-4072 and check out our website at www.SedonaWineCountryTours.com. Palm Springs has long been a destination admired for its stunning desert scenery, natural beauty and of course, great golf. But what you might not realize is that the destination is teeming with a unique culture scene featuring amazing art, music, and even vintage shopping. Some highlights include junk artist Noah Purifoy�s large-scale art installations with re purposed objects and junk or the High Desert Test Sites, in which a number of artists create large-scale, site-specific installations throughout the area. Visitors who enjoy this creative art scene will love the new Ace Hotel & Swim Club. Opened in February 2009, the design of the hotel was influenced and inspired by these artists. This can be seen right when guests check-in, where a 100-square-foot diorama is installed in the soffit above the front desk by local artists Alice Lodge and Clare Crespo. Originally the site of a former Howard Johnson, the Ace Hotel features a mid-century desert aesthetic blended with bohemian, folk-modern interiors. By collaborating with the desert community, the hotel is an inviting creative retreat featuring local artwork throughout such as architecturally inspired motifs scattered around the grounds by Margo Victor or gum wrapper meditation pillows and wastebaskets in guest rooms by Spiral Foundation. Guests will love the offbeat details like tamale carts and a sno-cone bar while also enjoying the two saline pools and a spa featuring poolside Mongolian Yurts. Location: Horne Creek Farm, Pinnacle, N.C.
Cornshucking Frolic. A traditional rural frolic featuring the harvesting, shucking, shelling, and grinding of corn. Cider making, quilting, cooking, woodworking, wagon rides, and traditional music featured. Numerous craft demonstrations also featured. Wonderful products and gifts available at our Country Store. $3 donation requested for admission. Additional fees charged for food, drinks, and some craft activities. For information, call 336-325-2298. 10 a.m.-5 p.m. When it comes time to plan a family vacation, Sedona provides the makings of an unforgettable adventure for families to connect with each other and with nature. Biking, hiking, camping, climbing, swimming, water sliding, ballooning, jeep riding (guided or unguided), golf, horseback riding, birding, star gazing and picnics on the banks of gurgling Oak Creek or in Sedona's city and state parks, are some of the ways to delight both young and old. Start your trip by doing "the best first thing to do in Sedona," a Sedona Trolley ride. Get a layout of the town, find out where the great spots to eat are, what famous people have lived or live in the area, and spot famous red rock formations. For little tikes, there are Sunset and Posse Grounds parks, equipped with playground equipment, swings and barbecue grills. For older children, there's the Sedona Skate Park, municipal tennis courts, bowling, four-wheeling, a trout farm and fish hatchery. In addition to citywide services, individual hotels and resorts have their own amenities. The Sedona Racquet Club provides family access to an indoor salt-water pool, tennis courts and workout rooms. For a perfect spot to feed the ducks, enjoy a grassy area, and view Oak Creek, stop in at the public park at Los Abrigados Resort & Spa. Don't forget to save some time for a round of miniature golf at the ILX Premiere Golf Course and then stop over at Tlaquepaque for an afternoon ice cream treat or stroll among the shops. For a special outing there's the Out of Africa Wildlife Park, a safari-like experience through 104 wilderness acres, and the Verde Canyon Railroad, a four-hour, round-trip excursion through Sycamore Canyon. (Look for the eagles!) Small area museums provide insight into the area's history. Festivals abound throughout the year, and there are seasonal attractions-from soccer and baseball games with jaw-dropping views to summer arts and athletic camps and winter light shows. A family may hesitate to plan a trip to Sedona- thinking it may be too expensive. But, not to worry, www.visitsedona.com abounds with packages, deals and offers in the Sedona area to make your family excursion affordable and fun. Don't put off the experience of red rock country for fear it is too expensive. Start planning what is sure to be a trip to remember. 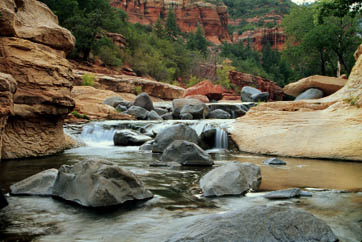 When you do visit Sedona, make sure you capture every moment and then when you get home, post your photos on www.experiencesedona.com and share your memories with the world. Leave comments, suggestions, and ideas for others to have their Sedona get away. SEDONA, Ariz. � (June 23, 2009) Amara Hotel, Restaurant and Spa, the AAA Four-Diamond award-winning property immersed in the natural beauty of Sedona, Ariz., just announced an exceptional travel package for a once-in-a-lifetime Grand Canyon Adventure. While staying at Amara�s magnificent resort, relax in comfort while being pampered by the attentive staff. Experience one of the top ten scenic drives in America when traveling up Oak Creek Canyon via luxury minibus to the ultimate destination � the Grand Canyon. Then spend an unforgettable day on a professionally guided tour of one of nature�s greatest marvels. For a chance to witness the awe-inspiring beauty of the Grand Canyon while relaxing in Amara�s luxurious accommodations, this Grand Canyon Adventure package is one that all must experience. In addition to experiencing the majesty of the Grand Canyon, travelers to Amara Hotel, Restaurant and Spa will be in the heart of Sedona, AZ - what USA Today calls, �the most beautiful place on earth.� Sedona�s natural beauty, climate, clean air and water make it one of Arizona�s most popular tourist destinations, second only to the Grand Canyon. Whether visitors choose to explore Sedona�s beauty on foot, horseback or mountain bike, Sedona is a destination for everyone�s adventure. Discover the breathtaking beauty and chic modern vibe that accompanies one of the �World�s Best Places to Stay,� as voted by the discriminating voters of Conde Nast Traveler Magazine. Enjoy magnificent red-rock views beside the tranquil waters of Oak Creek while relaxing in bliss. With an award-winning restaurant, top-notch spa and an outdoor recreational paradise at your fingertips, this Grand Canyon Package at Amara Hotel, Restaurant and Spa is not to be missed. *This package is available now through December 17, 2009. The AAA Four Diamond Amara Hotel, Restaurant & Spa, a 100-room boutique resort set against the beautiful red rocks in the heart of Uptown Sedona, is included in Cond� Nast Traveler�s Gold List of the World�s Best Places to Stay in 2008. The word �Amara� is a combination of two Spanish words meaning �love� and �land.� Many of the rooms and suites boast magnificent red rock views or patios overlooking Oak Creek and are carefully designed for the needs of both leisure and business travelers. Amara is also a popular location for destination weddings. The Amara Spa features six treatment rooms, nail care area, relaxation lounge, separate male and female locker rooms with steam and showers, private yoga and the exclusive London-based Elemis line of products and treatments. Amara is located at 100 Amara Lane. Visit www.amararesort.com or call 866.455.6610. Didn�t you love the classic "I Love Lucy" episode where barefooted Lucy jumped into a vat of grapes for the traditional stomping? Visitors can experience a similar grape stomping experience at one of the many annual winery festivals in the local Sierra Vista, Arizona, area. Are you aware that Southeastern Arizona, dubbed �Napa-zona�, produces fine, award winning wines which have also been served at the White House? With 14 wineries in the Sierra Vista surrounds, and with nearly all offering wine-tasting rooms, visitors can sample Merlot, Sauvignon Blanc, Pinot Noir, Syrah, White Merlot and many more selections, either on scheduled days or during the festivals. The first experimental vineyard planted in the area was in 1973 by Dr. Gordon Dutt, a retired soil scientist from the University of Arizona. Dr. Dutt studied the area for its feasibility to support vineyards and ultimately determined the quality of the soil was nearly identical to Burgundy, France. 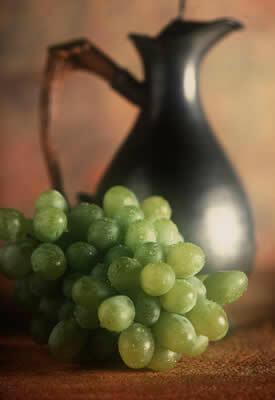 With that, the Sonoita Vineyards was created and opened in 1983. Soon, more family owned wineries were launched. We are located just 75 miles southeast of Tucson, between the Huachuca Mountains and the unique San Pedro River, one of the last free flowing rivers in the southwest. Visit our website at www.VisitSierraVista.com . I�d love to help you get to know Sierra Vista and all we have to offer visitors to Southeast Arizona. Daily Activities At Red Rock State Park Sedona: At 10:00 a.m. daily, visitors can join a naturalist on a guided nature walk that lasts 1� to 2 hours and will introduce them to the riparian ecosystem of Oak Creek and other aspects of the park. Plants, wildlife, geology, history and archaeology are some of the subjects that may be discussed. Depending upon conditions, on Saturdays this hike may include the Eagles Nest Trail. At 2:00 p.m. daily, the park hosts a ranger-or naturalist-led activity of approximately one-hour. Programs may include a nature-hike, a special presentation or an educational/nature video. This program may be an indoor or outdoor activity. The Red Rock State Park theater features the �Natural Wonders of Sedona � Timeless Beauty� film. This movie reveals why Arizona�s Sedona and Oak Creek Canyon were voted �the Most Beautiful Place in America� by USA Weekend. The film has phenomenal aerial scenes, wildlife close-ups, prehistoric Indian ruins, and much more. Program is presented on request throughout the day. For more information or reservations call (928) 282-6907. Red Rock State Park is located on the Lower Red Rock Loop Road off Hwy 89A, southwest of Sedona. Park hours are 8 a.m. to 6 p.m. Park Entrance Fee is $6 per vehicle for up to 4 adults, each additional adult is charged $2 each. (There is no charge for children). A $2 per person entrance fee applies to pedestrians, equestrians and bicyclists. Arizona State Parks Annual Pass is available for $45 (some restrictions apply) and Premium Annual Pass is sold for $100. For information about Arizona State Parks call (602) 542-4174 (outside of the Phoenix metro area call toll-free (800) 285-3703) or visit the website at www.azstateparks.com .